In the sequel to the science fiction thriller, ONE WAY, returning home from Mars may mean striking a deal with the very people who abandoned him. Frank Kitteridge is alone on Mars. But XO, the corporate architects of the first Mars base, made a costly mistake when they left him there: they left him alive. Using his skills and his wits, he's going to find a way back home even if it kills him. 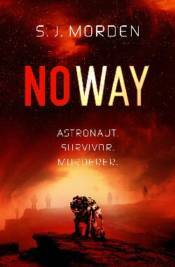 But there are dangers on Mars even Frank isn't prepared for, and a mystery he has to solve in order to survive. If there's anything in Frank's favour, it's this: he's always been prepared to go to the extremes to get the job done. That's how he ended up on Mars in the first place. It just might be his ticket back.